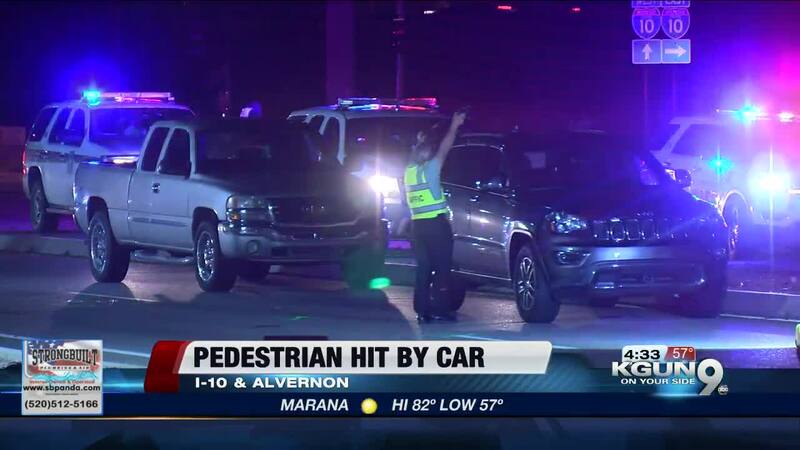 The Pima County Sheriff's Department said a pedestrian was hit by a vehicle on Alvernon near I-10. They said the man was moving when they arrived on the scene. PCSD said the pedestrian was not in a crosswalk and was taken to the hospital in stable conditions. The driver stayed on the scene. PCSD says impairment or speed was not a factor. They said there are significant delays on both sides of the road.